It seems the holy grail for some users of alcohol testing devices is a device with “no calibration needed.” The idea behind this thought is that calibration is a time consuming and complicated chore and life would be simpler if you did not have to do it. The marketers of low-cost alcohol test devices capitalize on this by describing their devices as “pre-calibrated,” with replaceable “pre-calibrated sensors,” or by avoiding any statement of the need to calibrate the breath testing device. 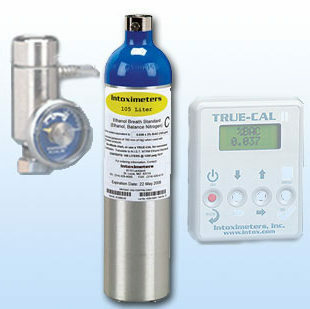 What about these claims – is there really such a device that does not require calibration? And if these claims are not true, is there any harm in a little exaggeration? We always start any discussion about calibration with a review of terminology. (Bear with us, because a thorough understanding of the terminology is key to evaluating these claims.) There are, in fact, two procedures that pertain to maintaining the accuracy of a breath testing instrument. “Calibration adjustment” is one of the procedures; calibration adjustment involves changing the way the device responds to alcohol to make it read higher or lower, whichever is necessary to make it read accurately. The second procedure has many names: “Verification,” “accuracy check”, “calibration check,” “external calibration check” are the most commonly used terms. We’ll use the term “accuracy check” for this discussion. The “accuracy check” procedure does not make any change to the way a device reads; it documents whether the device is reading accurately or not by testing a known concentration of alcohol. Of the two procedures, we believe that the accuracy check procedure carries considerably more importance than the calibration adjustment procedure. For example, the Dept. of Transportation (DOT) workplace alcohol testing regulations state that a positive alcohol test is valid only if the accuracy check that came before and after that specific test shows the device is reading accurately. 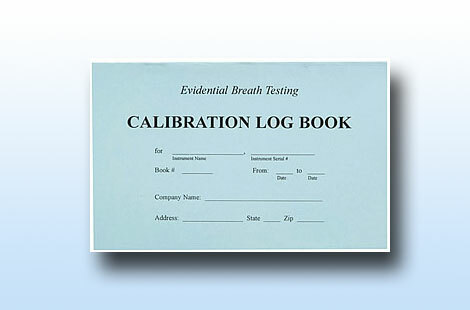 The regulations don’t have any requirement to calibrate the device before or after a positive test. When an operator does calibrate a device, the manufacturer’s procedures require the operator to then perform an accuracy check to verify that the instrument is, in fact, reading correctly. Most quality assurance plans require an accuracy check at least monthly, but may have no requirement for routine calibration adjustments. However, best practice, as spelled out specifically by DOT regulations for workplace testing, manufacturer’s quality assurance plans, and in policies for virtually every law enforcement agency, is built on the principle that you don’t take someone else’s word that a device reads accurately – you verify the accuracy yourself. “Pre-Calibrated Sensor replacement:” The comments above also apply to the claim “pre-calibrated sensor replacements.” First is the logical assumption: “pre-calibrated” suggests the user does not need to calibrate the sensor. Then the misdirection: The user’s fuzzy terminology that equates calibration with accuracy checks leads to the connotation that “no accuracy checks needed.” As we stated above, the only way the operator can know for certain if a breath testing device reads correctly is by doing an accuracy check. Why do manufacturers and sellers make these claims and ignore the issue of accuracy checks? The equipment and supplies necessary to perform accuracy checks is usually much more costly than the inexpensive cost of the devices that make this claim. The alcohol test devices sell for less than $100. The device requires a simulator ($500 +) and simulator solution ($8 a bottle). It’s easier to suggest that accuracy checks are not necessary than to persuade the user to purchase the necessary equipment. Users believe accuracy checks are complicated and time consuming and prefer not to be bothered with them. Again, it’s more convenient to go along with the users’ preconceptions that accuracy checks are troublesome than to persuade the user of the value of doing them. The devices are classified as screening devices, not evidential devices. Rightly or wrongly, it seems that a lower standard of practice (that ignores the need for routine accuracy checks) is tolerated because a screening device is not intended to be the final result. We understand that when a breath test device is sold for personal use that it’s not realistic to expect the user to perform accuracy checks and calibration adjustments. However, when these devices are sold into settings such as law enforcement, the workplace, and the military, it is a disservice to the user to imply that accuracy checks are not required.